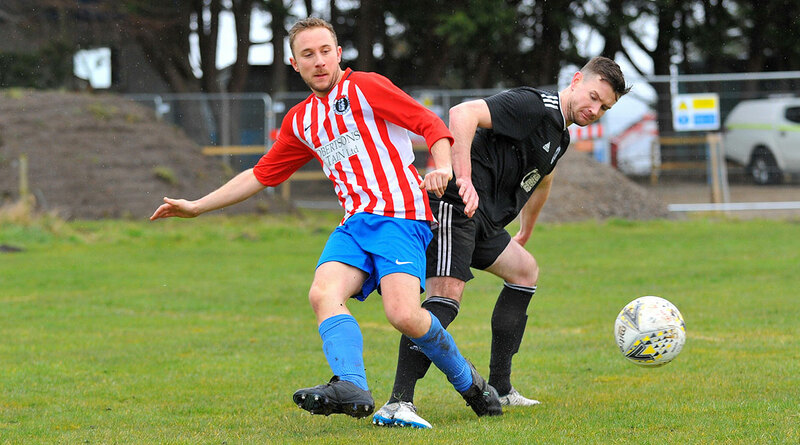 IN FRONT of a bumper crowd, St Duthus kicked off their return to the North Caledonian League yesterday afternoon with a 3-3 draw at Invergordon -- and they were unfortunate not to take all three points. 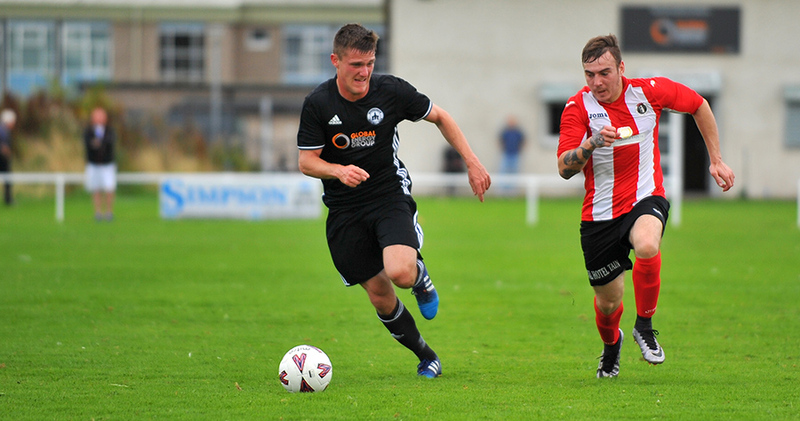 Having gone in at half time with a 2-1 lead, the Saints extended their advantage on the hour mark before Invergordon forced their way back into the game. With an absence list as long as the available list, Stuart Ross drafted in a handful of trialists for the game, starting with former Clachnacuddin defender Callum Donaldson in the back three alongside trialist John Skinner and captain Ryan Day. Andy Young returned as a trialist once again, having turned out against Contin and he slotted in at right wing back, while new addition Joe Sutherland came in on the left. Martyn Farquhar, Lewis Ross and Will Ross made up a formidable midfield with Jamie Skinner and trialist Andrew Miller up top. The teams were led onto the park by piper Jamie MacRae from Alness, who showed them the way as he played The Green Hills of Tyrol and When The Battle's O'er. Supporters surrounded the pitch behind the freshly painted barriers around the main pitch at the Recreation Grounds as the teams prepared to get things going in the grandest of fashions for the new season. The game kicked into life early on when referee Stephen McDade and his assistant both failed to spot Invergordon defender Neil MacDonald blocking a shot on the touchline with his arm. Andy Young had done very well to find Jamie Skinner in the box and the forward powered his effort straight at MacDonald. Within a few minutes, the Saints' frustration continued to grow as Ryan Day tussled with Darran Goller before he felled the striker in the box. A penalty was awarded for Invergordon and was duly taken, but Steven Martin in the Tain Saints goal was up to the test and he held Shaun Kerr's low effort. 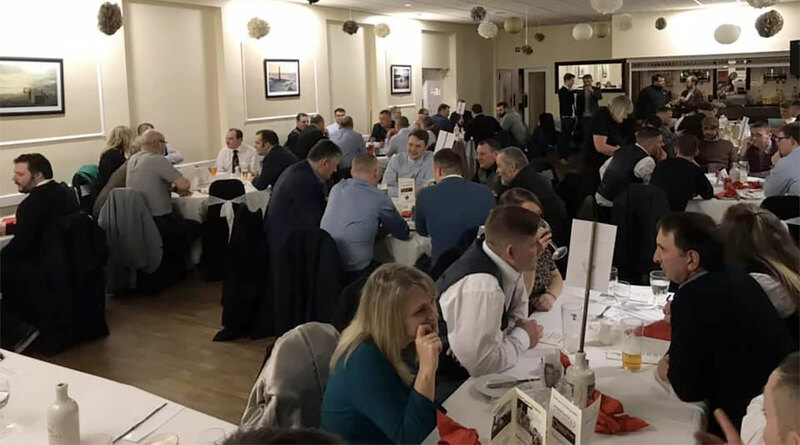 The game continued at the frenetic pace with which it had started and it wasn't long before the opener had arrived, and it came for Invergordon. Getting on the end of a Kyle Maclean pass, Kerr made amends for his penalty miss with a side footed effort sent beyond Martin to give his side the lead on eighteen minutes. Invergordon's celebrations were short lived. Colliding in the box, Joe Sutherland met with Arron Christie and the referee adjudged that Christie had fouled the Saints man, and for the third time in the game a penalty claim was made, this time going the way of the Saints. Lewis Ross, coming forward from the midfield, stepped up to take the conversion, but was stopped in his tracks by MacDonald, who was rushing in his shadow while encroaching on the eighteen yard box. The referee forced a retake of the penalty, which Stephen Campbell had just saved, and Ross made no mistake at the second time of asking. The Saints were back in the game. Above: Lewis Ross nets from the spot, the club's first competitive goal in 11 years. Joe Sutherland, who worked tirelessly thoughout the game, was unlucky not to extend the Saints' lead on the half hour mark after breaking clear on goal, shooting wide. At the other end, Invergordon were denied a goal when birthday man Alan Duff rattled a shot past Martin from 15 yards, but the linesman on the opposing side flagged for offside. Goller then fired just wide of Martin's post during a hairy spell for the Saints before a late flurry for St Duthus saw them take the advantage at the perfect time. Shortly after a great delivery for Andy Young (who volleyed just over), a well timed ball arrived yet again from Martyn Farquhar as he found the feet of Lewis Ross, who controlled and shot towards Campbell. The Invergordon 'keeper stopped the first shot, but trialist Andrew Miller was on hand to slam the ball home to make it 2-1 on the stroke of half time. 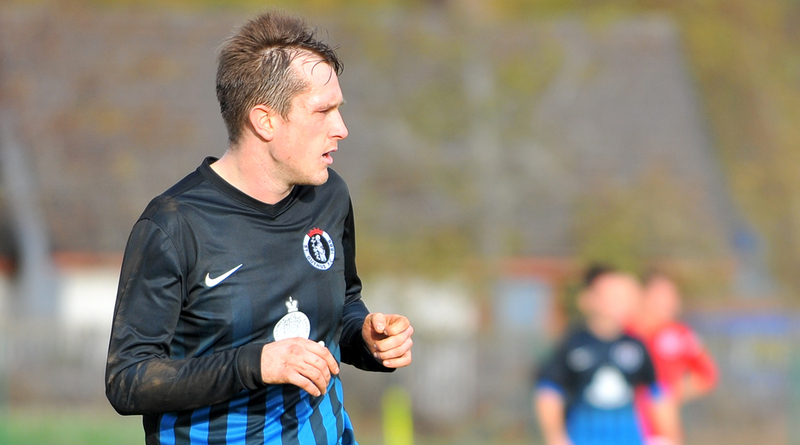 A re-eneergised Invergordon emerged with a determination to fight their way back into the game and with the chances they found on target Steven Martin was up to the test, holding shots from MacDonald and Kerr. On the hour mark, the Saints extended their lead from a corner. A great ball into the box from Miller found Jamie Skinner who held off the challenge of MacDonald before lashing the ball into the net from 10 yards, leaving Campbell and defender Arron Christie helpless on the goal line. 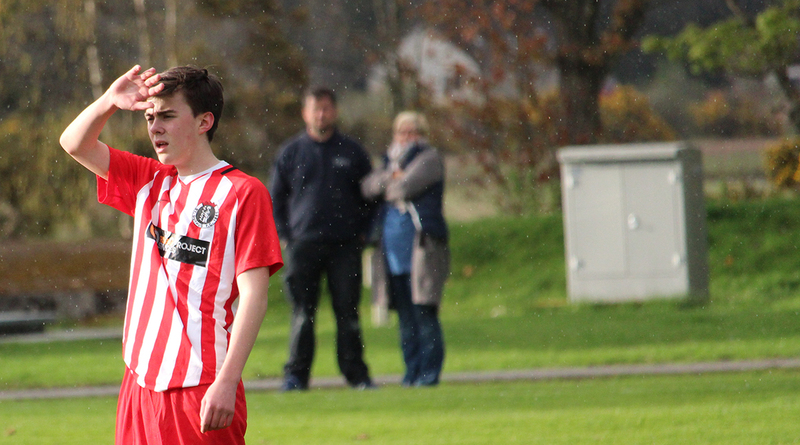 Invergordon immediately restored the deficit when Christie found Jack Hudson in the box with a well taken corner. The former Alness United man rose above the rest of a packed area to head beyond Martin to leave the scoreline at 2-3 with 29 minutes remaining. The home side went searching for the equaliser and sadly for the Saints it arrived on 67 minutes, and in controversial circumstances. A looping ball from Kai Cruickshank had Hudson and Martin reaching for the same ball. When it seemed as though the Saints 'stopper would collect it in the air, he was felled, and with Martin grounded, Hudson turned the ball into the net to make it 3-3. The Saints touchline demanded the free kick, but the referee waved the protests off and Invergordon were awarded the goal. Steven Martin was booked for his trouble into the bargain. So began a period of nervousness throughtout the final twenty minutes, as both sides pressed for an equaliser. Kerr, ever a threat when in possession, shot over on a couple of occasions as the homesters looked for the elusive winner, while Dave Macgruer came close with a header at Martin's near post which sailed wide. Throughout, the Saints defended resolutely, working well to avoid a handful of scares in the latter stages with wing backs Young and Sutherland reacting superbly to clear the ball during the more dangerous of chances. A late opportunity for the Saints to win the game presented itself when Finn Chainey laid the ball to Miller who found himself clean through on Campbell, but the striker wasn't quick enough for the Invergordon 'keeper. Just moments later, Martyn Farquhar shot into the arms of Campbell with a free kick from outside of the box. The free kick proved to be the last significant piece of play as the referee waited out the remaining minutes of added time. 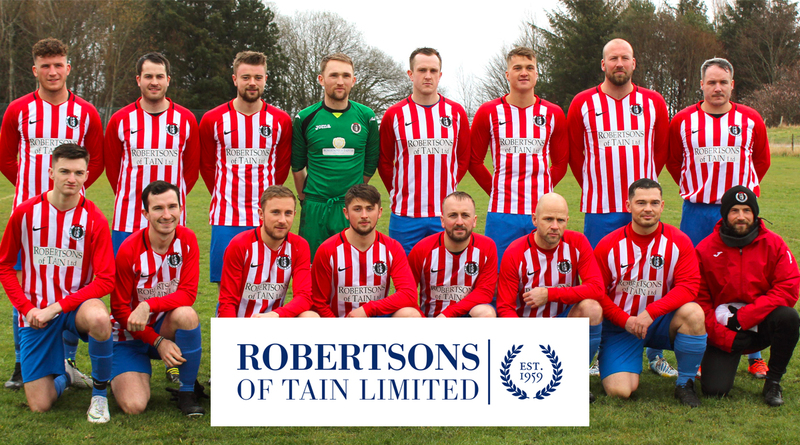 The draw sends St Duthus straight into the mid-table, alongside Invergordon as well as Alness and Halkirk who drew a blank in their game at Dalmore Park. Orkney lead the pack following their 2-0 home win over the other league debutants Inverness Athletic. St Duthus now turn their attention to the Football Times Cup, where a trip to Thurso awaits, welcoming Shetland to the main for a 1st round tie.